Lock in a great price for Smile House – rated 8.7 by recent guests! It was very relaxing and quiet. It was very enjoyable stay. Great family place. Nothing not to like really. We got upgraded for free. Staff were very nice and the location is outstanding. Koko tams over the road was amazing. The food severed was excellent and great value. Could. It fault it at all. 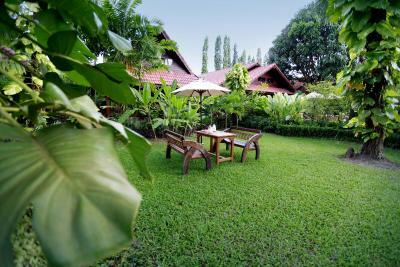 We'll run hotel, very clean and lovely gardens. We loved the location and facilities! It was just what we wanted. Breakfast right on the beach, quaint area, nice shops and we enjoyed the night market which happened to fall on one of the two nights we were in Bo Phut. Great location. Friendly staff. Nice pools. Just perfect accommodation. The grounds were well kept - they included breakfast, cleaned room daily, water daily - close to everything you need. Right across the street from the beach. In the center of the fisherman’s village, so the night market was right outside the hotel. Breakfast (included) was totally fine and nice to not have to worry about each morning. Enjoyed having the porch to sit on and relax while we waited out the numerous rain storms. Plenty of space in bungalow for a couple and our belongings. Good value for hotel. I loved the leafy grounds, done immaculately. 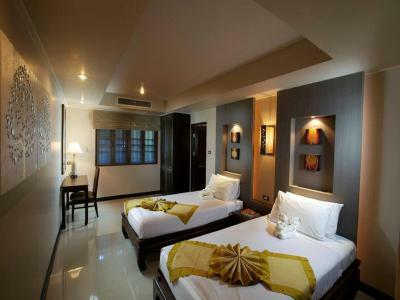 The bungalow rooms are really nice and spacious. Hotel is reasonably priced, pool is huge and hardly anyone using it so it was perfect for my kids (plus a pool for littlies). Smile House This rating is a reflection of how the property compares to the industry standard when it comes to price, facilities and services available. It's based on a self-evaluation by the property. Use this rating to help choose your stay! 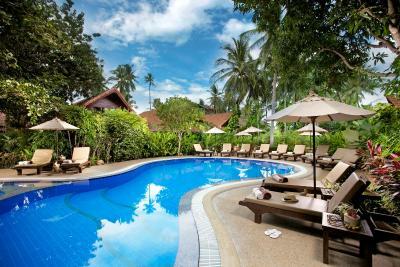 One of our top picks in Bophut.Located on the white beaches of Bo Phut, Smile House is surrounded by tropical gardens and coconut palm trees. 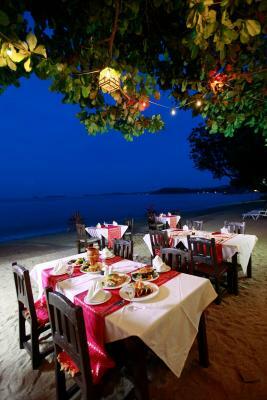 It features an outdoor pool and a beachfront restaurant serving international favorites and fresh seafood dishes. 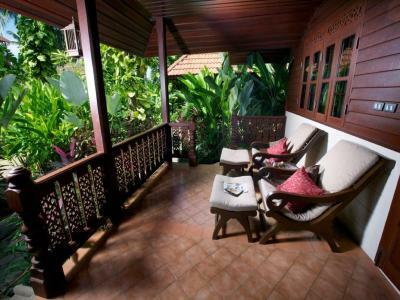 Traditional Thai bungalows are equipped with air conditioning and a private terrace. 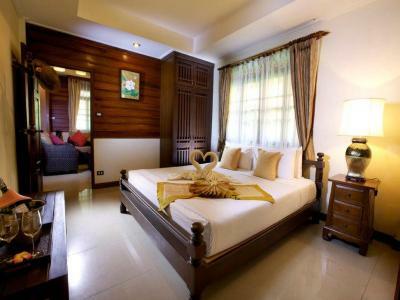 Fitted with wooden furnishings, they come with a TV with cable channels and a mini-bar. Room service can also be arranged. 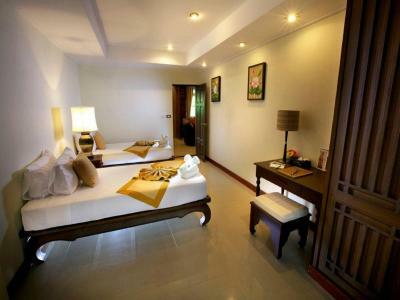 The resort is 15-minute drive from Samui International Airport and a 20-minute ferry ride from Phangan Island. Guests can relax at Smile House’s spa or make travel arrangements at the tour desk. Water sports facilities are available. Public areas have free WiFi. 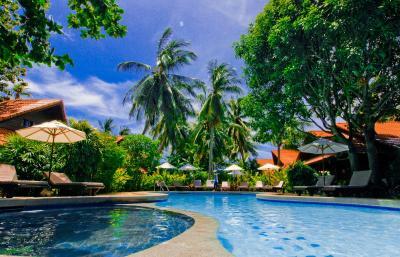 뀐 Located in the top-rated area in Bophut, this property has an excellent location score of 9.2! When would you like to stay at Smile House? Offering garden views of the backyard, this air-conditioned bungalow features a balcony, a cable TV and a fridge. Free toiletries and a hairdryer are included in its private bathroom. This spacious bungalow features 2 bedrooms and a living room. Includes a large balcony with sitting area. 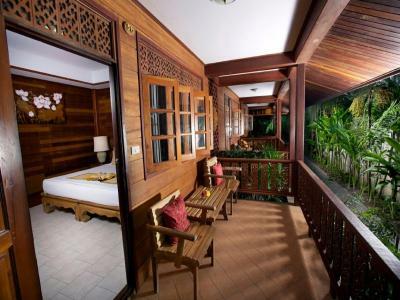 This family villa consists of 3 bedrooms with 1 living room. It is located nearby the small pool on the backyard. 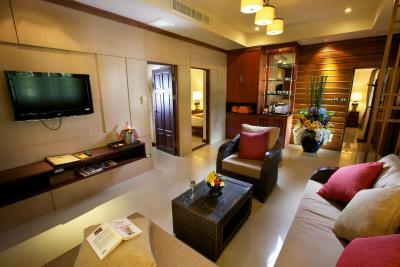 Surrounded by a luscious garden, this cozy unit is appointed with a seating area, a cable TV and a safety deposit box. 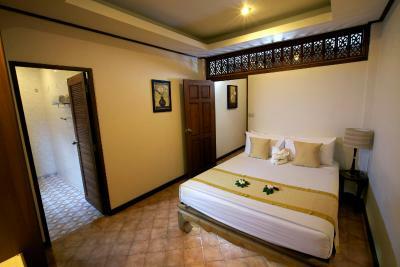 Its private bathroom is supplied with a shower and free toiletries. Located on the backyard with no view, this double room features a king sized bed, a balcony, mini-bar and cable TV. 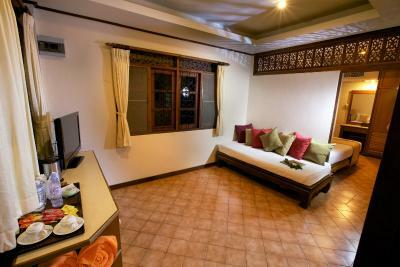 Located on the backyard of the resort, this family room features 2 bedrooms, 2 bathrooms, a small living room and a small terrace. House Rules Smile House takes special requests – add in the next step! 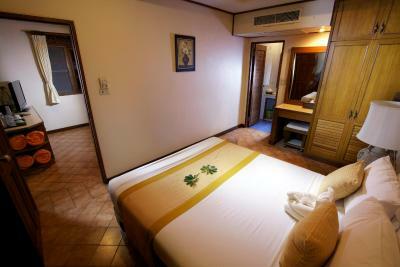 One older child or adult is charged THB 700 per night in an extra bed. Smile House accepts these cards and reserves the right to temporarily hold an amount prior to arrival. We were disappointed with our room on our arrival, it was a lot smaller than we expected. We immediately spoke to reception, and they showed us another room and let us change for a small fee. The food in the restaurant could have been better. The hotel was very clean and staff were very friendly. Great rooms and pool area. We rented a large (7 seater) vehicle which provided a challenge when negotiating the narrow heavily populated road with shops and restaurants on both sides which was required to access the hotel car park. The road also becomes a pedestrian precinct on a Friday from 4pm to accommodate the walking street market. However as we were leaving on a Friday this did not cause us a problem. 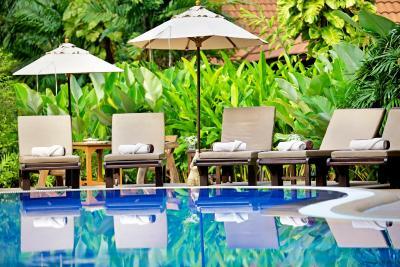 The hotel could not accommodate a late checkout request but offers luggage storage and use of the pool and showers. 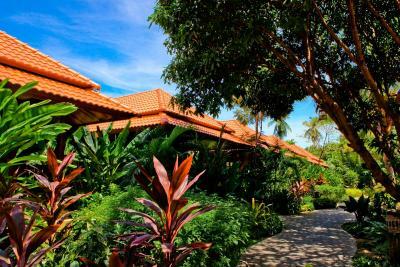 Nice property, in the middle of Fisherman's Village, with heavily landscaped foliage ensuring a environmentally friendly feel to the hotel. Our bungalows were located right at the back of the premises which meant a long (couple of minutes) walk to the reception/pool/restaurant/beach (the latter both across the narrow road). Bungalows were clean and aircon very effective. The location was quiet although traffic noise did intrude from time to time. Excellent breakfast, with a wide selection of everything you might require - the omelettes were particularly noteworthy. The beach was nice but the sand rather grainy as opposed to smooth. The pools were good, both with children sections, the larger one having a jacuzzi section, and both of a reasonable size. Car park is small but we never experienced a problem with obtaining a parking space. Security guard was very helpful in this regard. Struggling to be honest to add anything negative. Maybe they could promote poolside drinks and food service. We had to ask and they seemed confused. The food in the restaurant is not amazing and pricey for the area even with the 15% discount they give you. But the area is filled with restaurants so it doesn’t effect the experience. 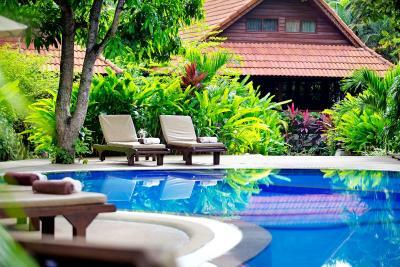 The bungalows feel equally private and the two pools ensure that not everyone is crowded around one pool at a time. The staff were welcoming and we had no issues with anything. We even came back to stay here again at the end of our trip. Slightly expensive area. WiFi and tv reception in room not great! Lacked somewhere to sit as family inside and fan outside. Really clean. Reception helpful. Pools and grounds well maintained. Overall a really nice place! Beach was ok, but the water was kind of murky. So for snorkeling or similar you need to book an excursion. Well situated in the nice (even if touristic) Bhoput Fishermen Village with lots of places (shops, restaurants, Spas) to visit within 10 min walking distance. 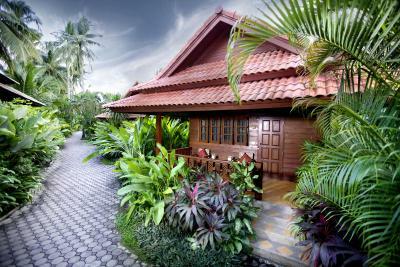 Consists of separate small, very comfortable bungalows situated in a a well maintained, beautiful, lush, tropical garden. 2 quite nice pools on premise. 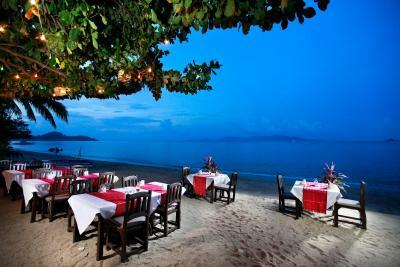 Nice on the beach dining & relaxing facilities in the village. Stayed the third time there, is always very clean and in good condition. Recommend. Fab all round, this was our second stay at Smile and we will return again soon! Only negative would be if you're a tv viewer on holiday. The bathroom always clean. Could eventually use upgrade. Room clean and tidy. Location excellent for Fisherman's Village. Quiet even for location. Pools excellent. Telaxing environment. Liked the bungalows and the pool. Breakfast could have had more options for dairy free (different milk) Generally all very good. The manager/owner was suspicious of me and didn’t believe I was staying there which made me feel unwelcome. Everyone else was lovely except for this one strange man.